Just another perfect day in America’s Finest City, so after a little detour to an art fair in San Diego’s Little Italy, the four of us (Kim, Mary, Tracy and I) headed off to California’s first mission. Mission Basilica San Diego de Alcalá is known as “The Mother Of The Missions.” It’s located not too far from Qualcomm Stadium, yet there has been no divine intervention to help the Chargers win a Super Bowl. 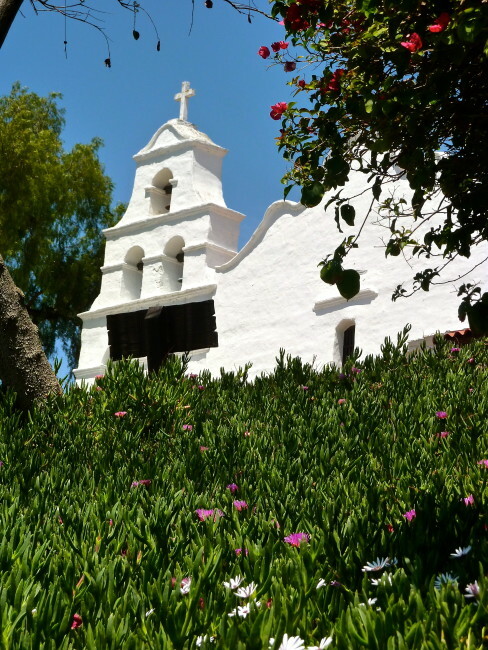 Calling itself “the birthplace of Christianity in the far west,” Mission Basilica San Diego de Alcalá, founded in 1768, is California’s “first church.” While the Russians were content to go seal hunting up in Northern Alta California, King Carlos III of Spain was becoming concerned and decided he wanted to build settlements here, too. 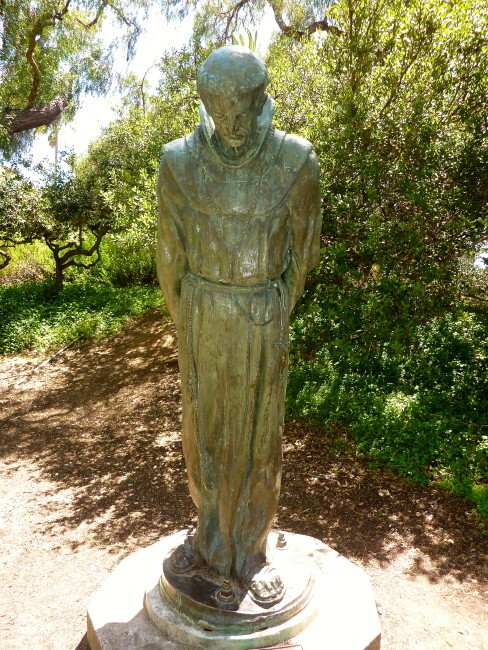 Father Junípero Serra, already in his mid 50s, was designated Superior of the Franciscans. 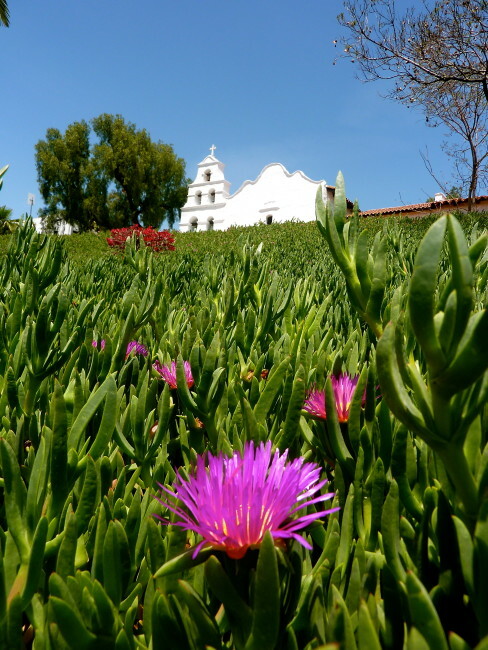 From the mission website: “On July 16, 1769, Father Serra established Mission San Diego and the California mission system was begun on a site overlooking the bay. 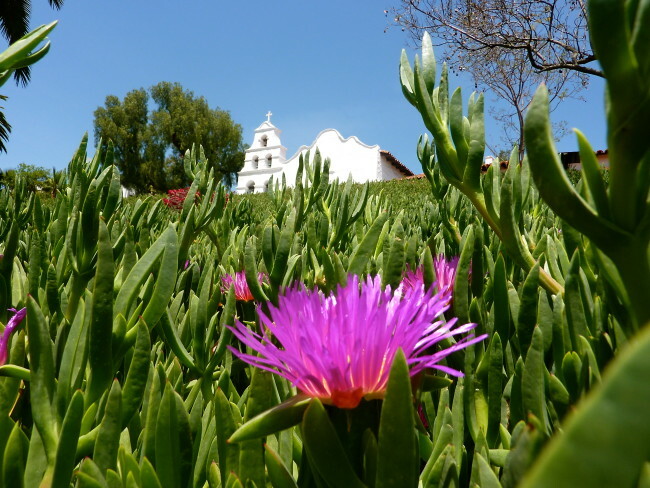 The mission remained at this site for only five years…The decision to move the mission six miles east was made by the pastor, Father Luis Jayme, and approved by Father President Serra. 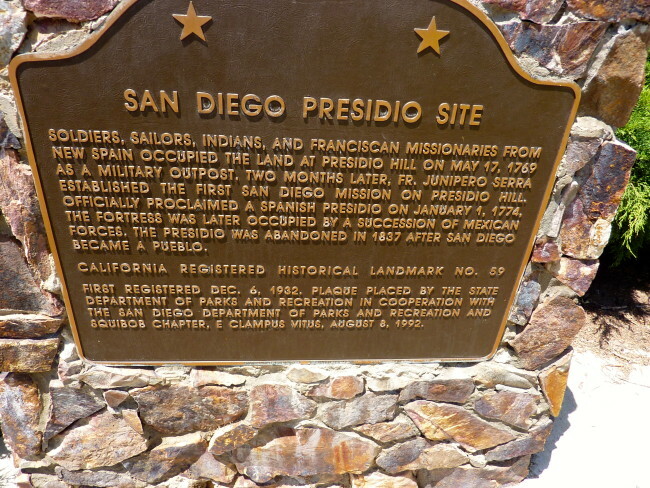 The new site was close to the San Diego River and the American Indian villages. 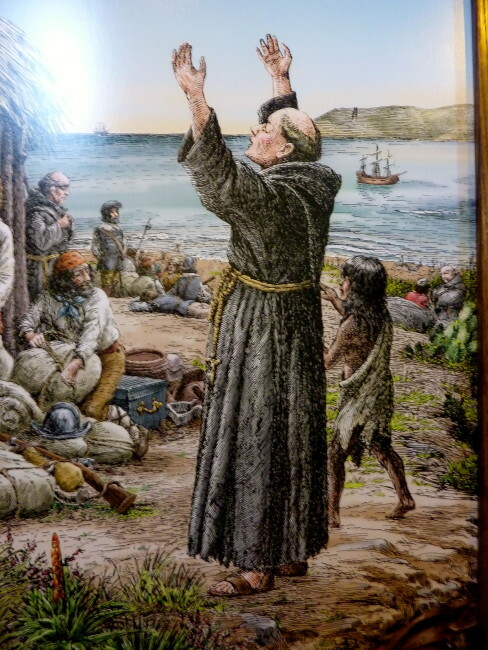 “Father Jayme had great rapport with the American Indians, but two of the mission Indians became discontented with the rules and regulations necessary for an orderly unit and they incited hundreds of Indians in remote villages to riot. 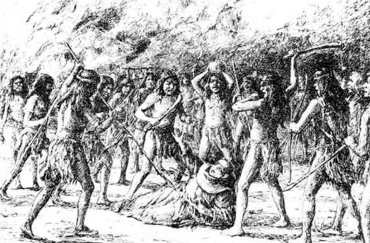 According to Father Palou’s report of the incidence, 800 American Indians stormed onto the grounds in the middle of the night on November 4th, 1775. 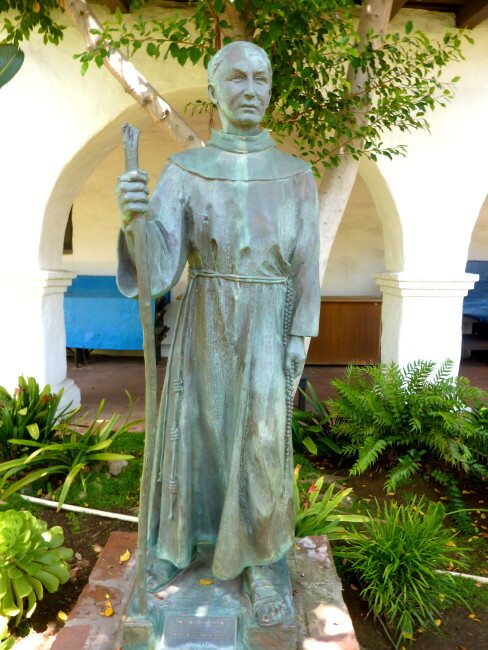 They pillaged the mission, burned it to the ground and massacred Father Jayme who became California’s first Christian Martyr and who is buried under the altar in the present church.” Father Serra returned to Mission Basilica San Diego de Alcalá to oversee the rebuilding of the mission. There was no pillaging on the day we visited, so we paid our $3, and were on our way to visit the mission that was restored in 1931. 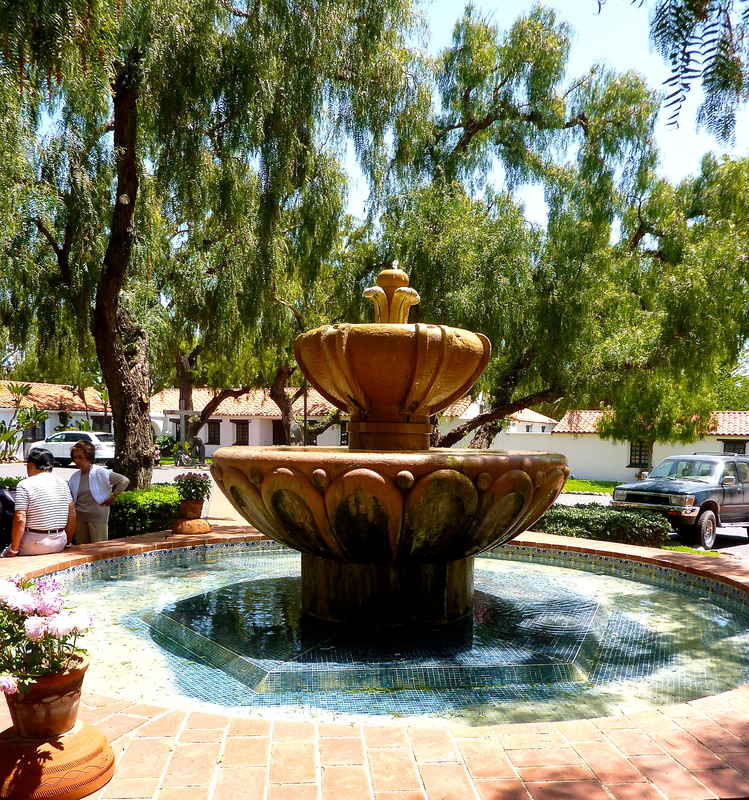 First, we passed by a lovely fountain in the courtyard, a fountain that was not originally at the mission, but it does represent the site where an original cistern was located. 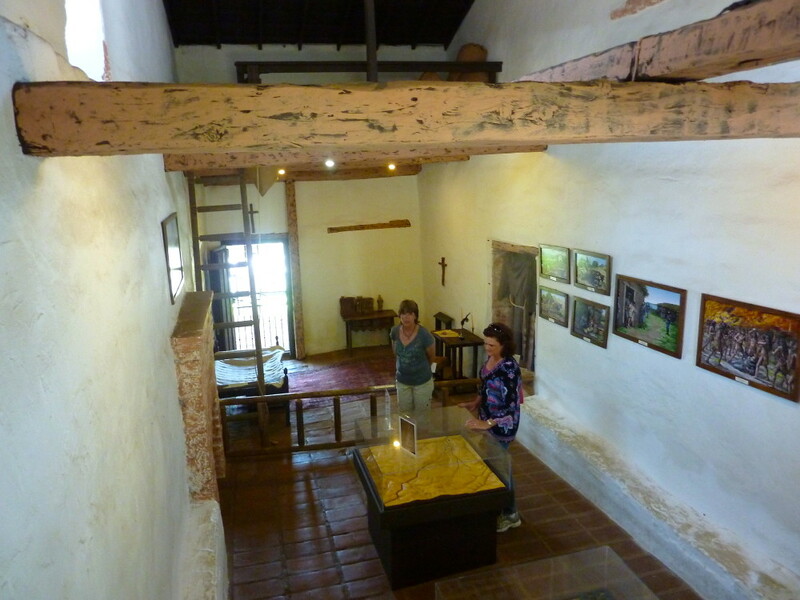 Next stop was the Casa de Los Padres, a room that is believed to be part of the original monastery that adjoined the church. 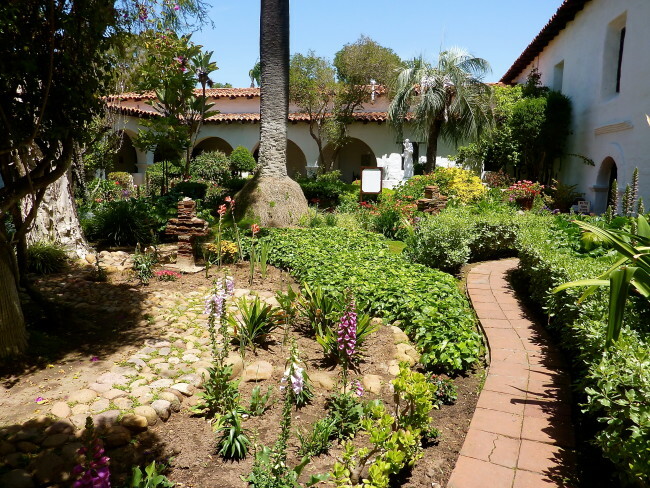 It is where Father Serra would have stayed when he returned to the mission for periodic visits. The mission is great spot to take some photos not only of the architecture, but of some very cool cactus trees. 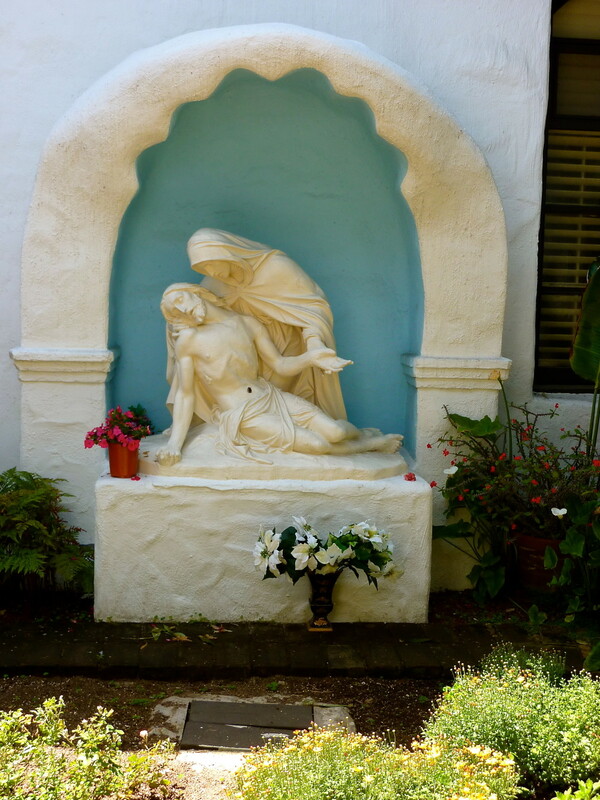 In the Pieta Garden is a sculpture of the Virgin Mary (statue is similar to that carved by Michelangelo in Rome) holding the dead body of Jesus. 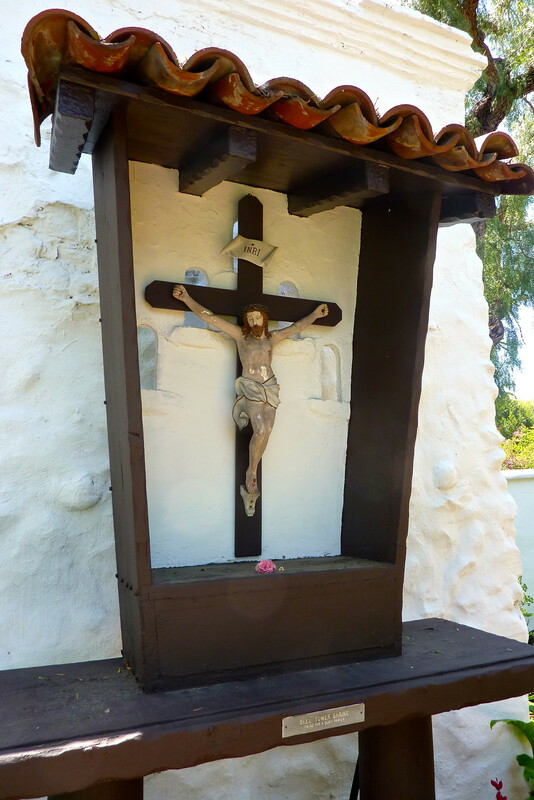 We stopped by to look at the Campanario, which is a wall adjoining the church with niches for holding bells. 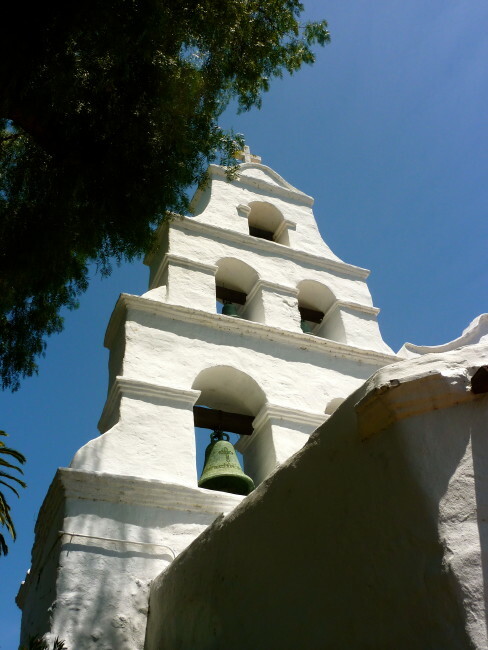 All five bells are only rung in unison once a year. That event occurs on the celebration of the anniversary of the founding of the mission in July (Sunday closest to July 16). The three smaller bells near the top are copies of originals. 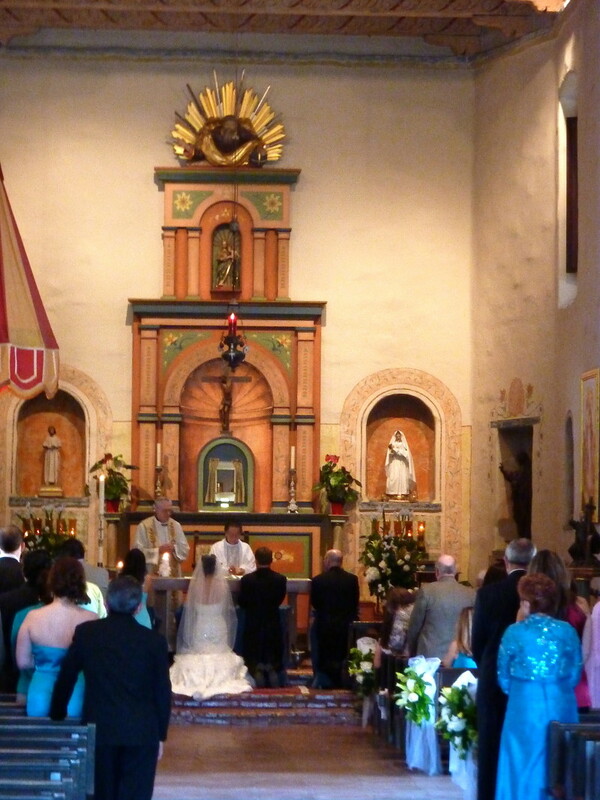 The large bell on the bottom left is an 1894 recasting of the original Mater de la Rossa bell. 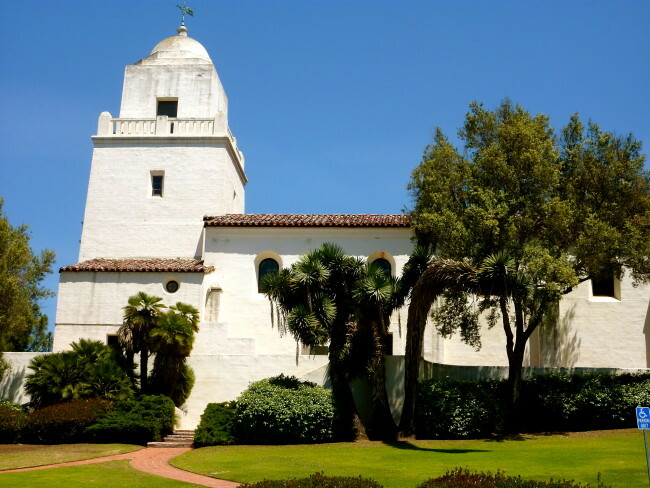 It is the largest of the two bells (1200 pounds). The bottom bell on the right dates from 1802. 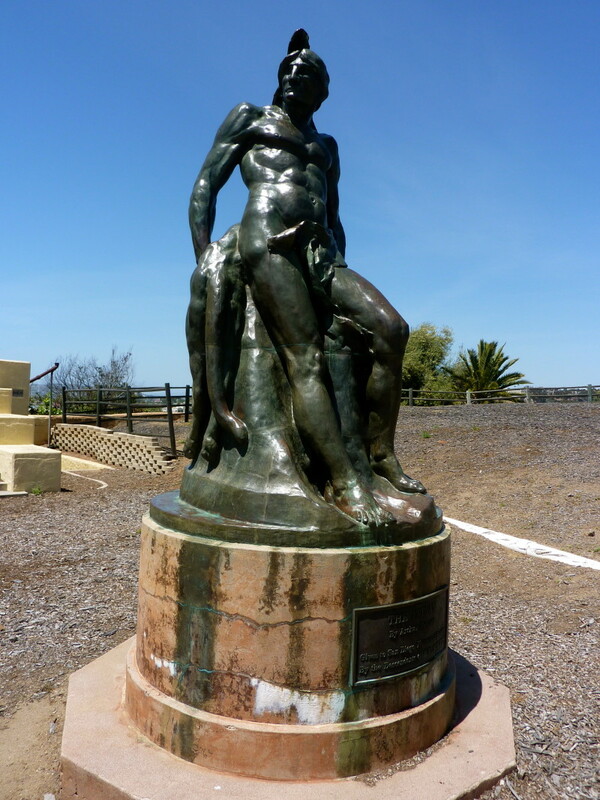 It weighs 805 pounds. The cross at the top is made from original Mission timbers. The interior garden is very lovely, too. 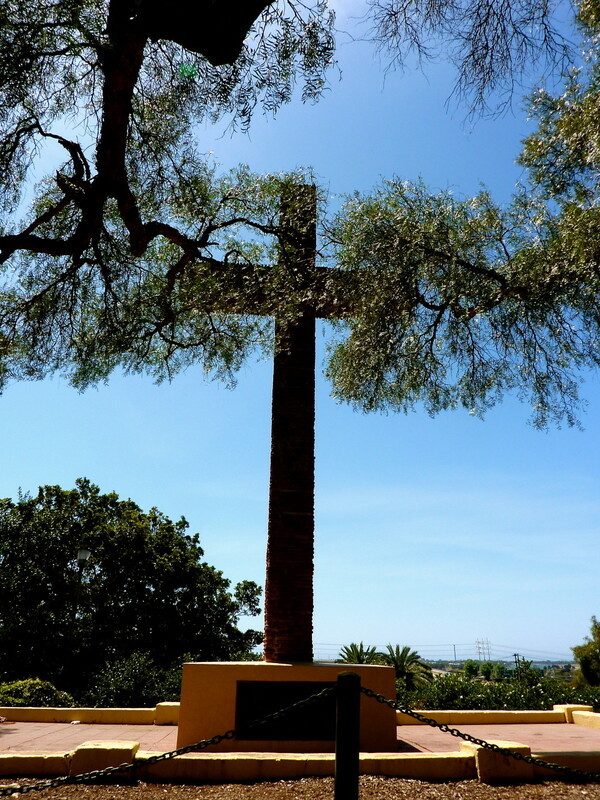 The adobe crosses commemorates the Indians who died on this site. 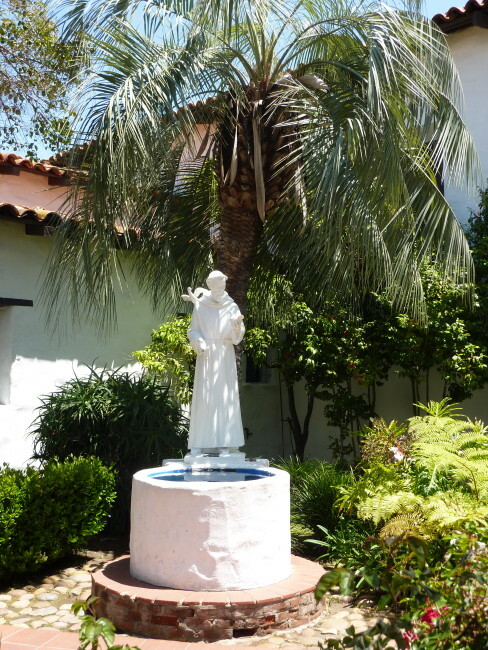 The garden also has a statue of Father Serra and a St. Francis statue that doubles as a wishing well (having given up on Charger wishes, I just wished for another good San Diego State basketball season and health to all our pets…not necessarily in that order). We left the garden at the end where there is a statue of Saint Joseph. Father Serra’s expedition was organized under the patronage of Saint Joseph, and it’s believed that the expedition was saved after a novena was prayed to the Saint. We always seem to run into a lot of weddings on our travels, and today would be no exception. 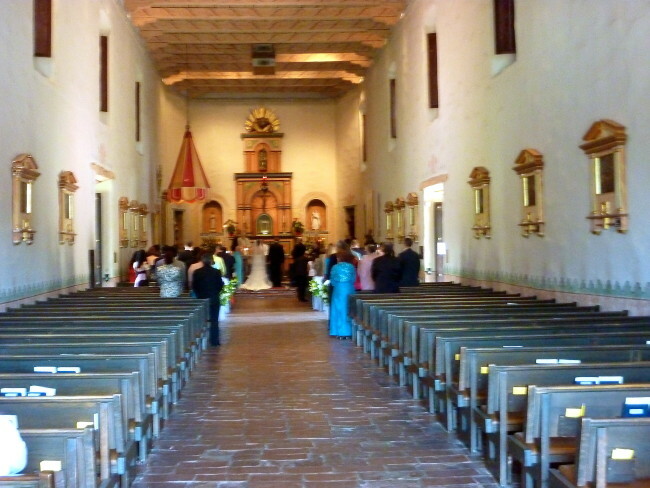 We were able to catch a couple of shots inside the church, however. Judging by my photos, a wedding photographer gig is not in my imminent future. 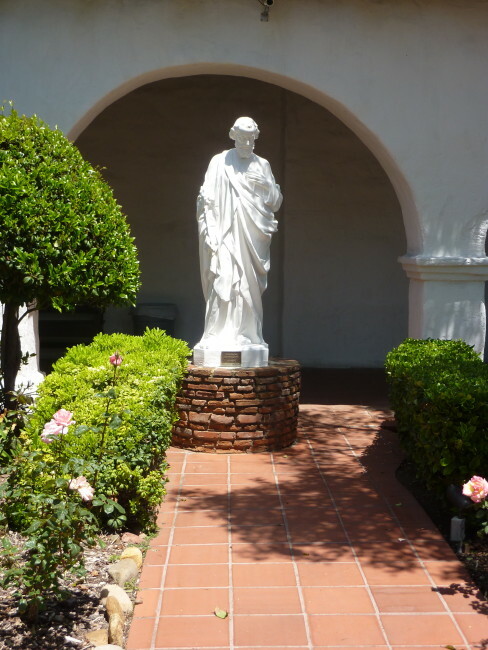 This is the fifth church built on the site (guess they want to get it right). 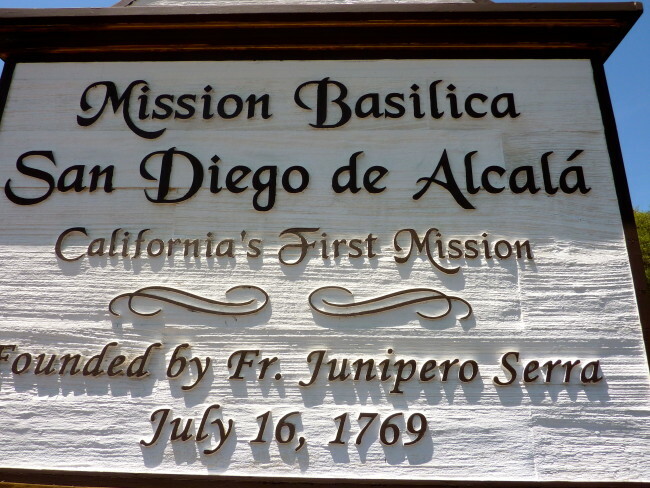 The first one was constructed in 1774 and was destroyed during the 1775 raid when Padre Jayme was martyred. 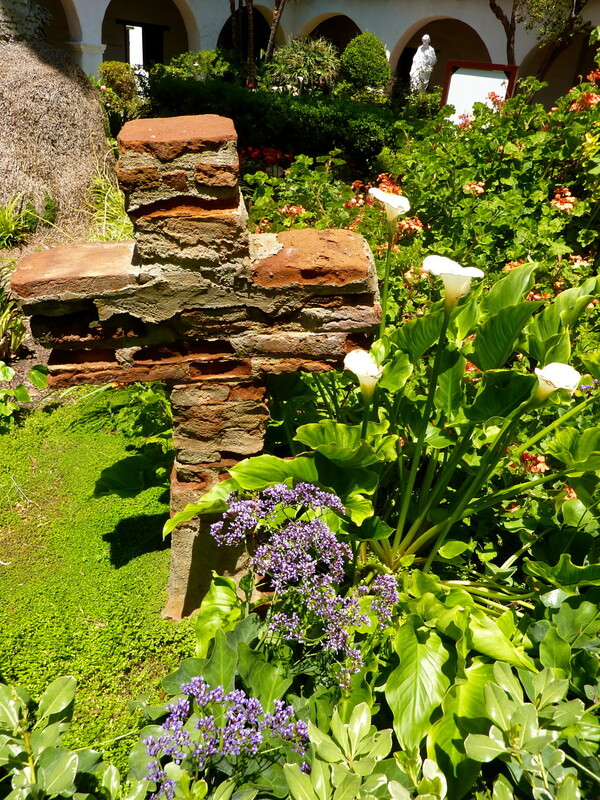 The church now occupying the site was built in 1930 and used the guidelines from the church that was built in 1813. 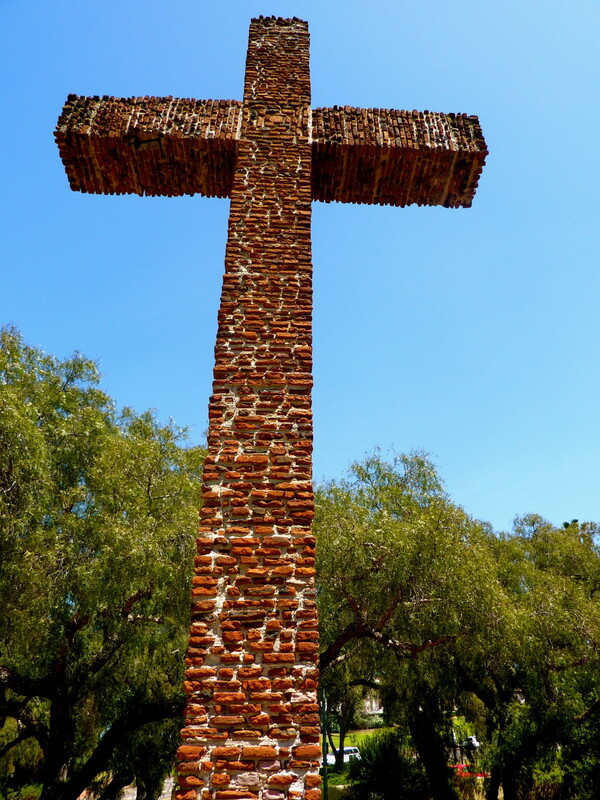 By now I was confused, so we exited the church area. We exited through an area that commemorates the death of Father Jayme. 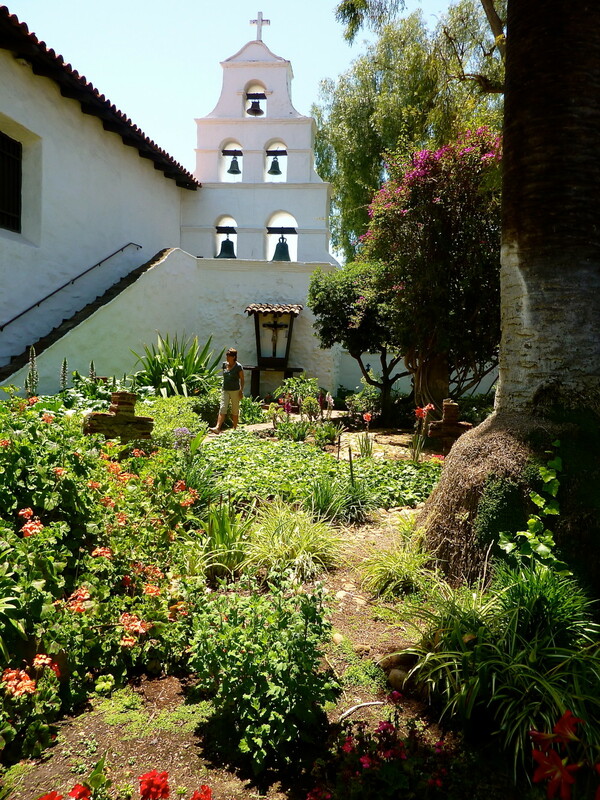 Mission Basilica San Diego de Alcalá was not near the top of the missions we have visited, but it still has the distinction of being the first, and that counts for something. 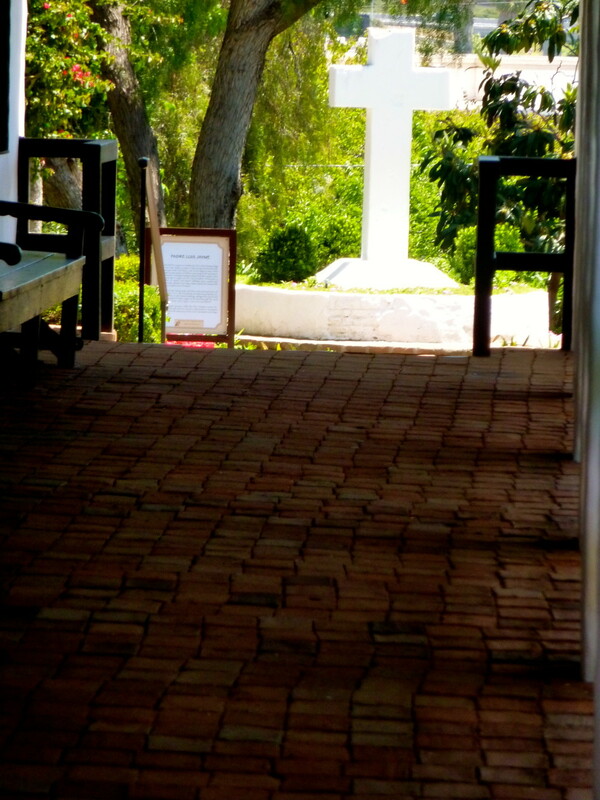 You might think this was the end of Mission Day, but we had one more place to visit. 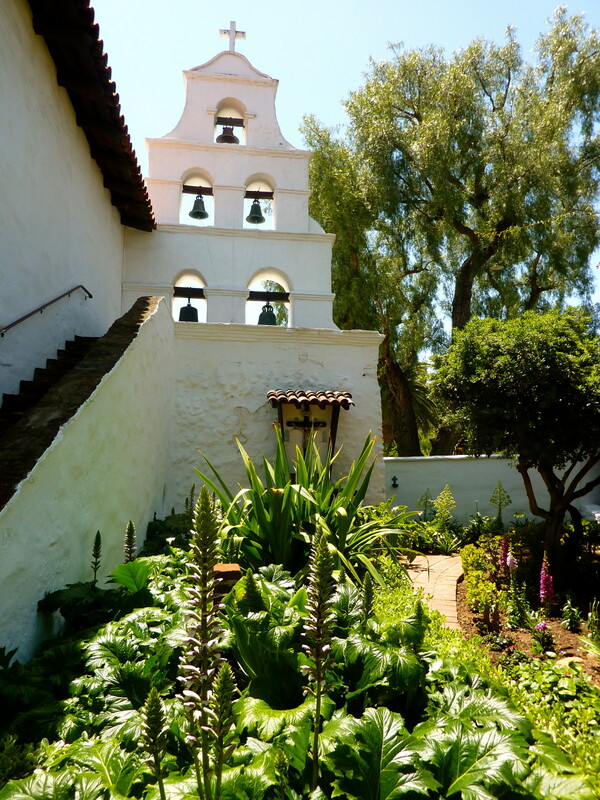 We headed over to El Presidio Reál de San Diego, site of the first of the presidios (fort) and Spanish missions in Alta California (before they decided to switch sites for the mission). 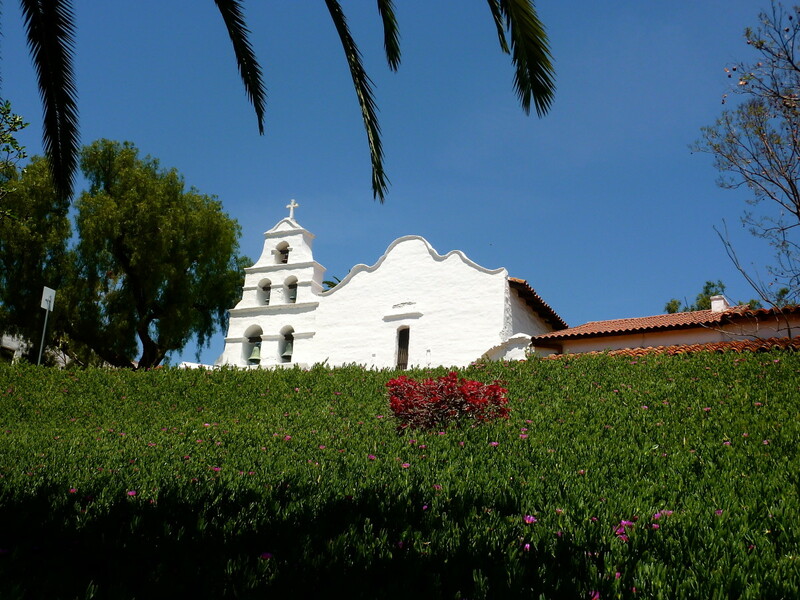 It also became the base of operations for the Spanish colonization of California. The presidio was the first permanent European settlement on the Pacific Coast. It was really hot when we arrived, and we took a stroll around the exterior. 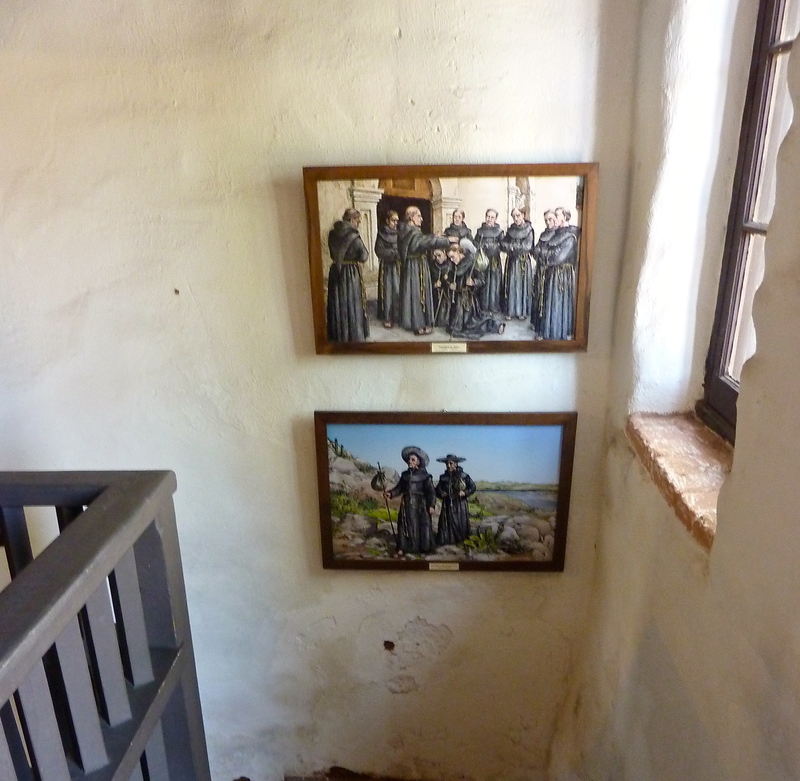 There is a Junípero Serra Museum that cost six dollars to visit, but our appetite for food was getting bigger than our appetite to learn more history (plus they wouldn’t let me take photos…they must have seen the wedding pictures from earlier in the day). Yet, before we left the Presidio Park area, we did wander (on the Old Presidio Historic Trail) down to a statue alongside the winding road up to the Presidio. 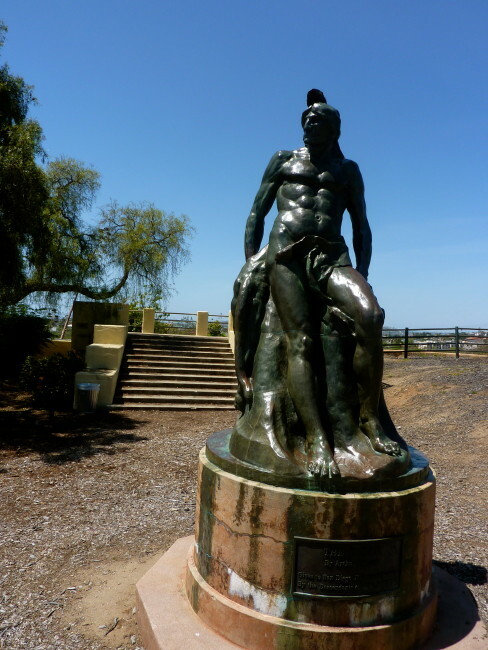 The statue is of a Native American and honors the people who lived here before the arrival of Europeans. Arthur Putnam sculpted this. Putnam also sculpted the The Padre and the Cross, which was erected in 1913 using materials from ruins of the Presidio. 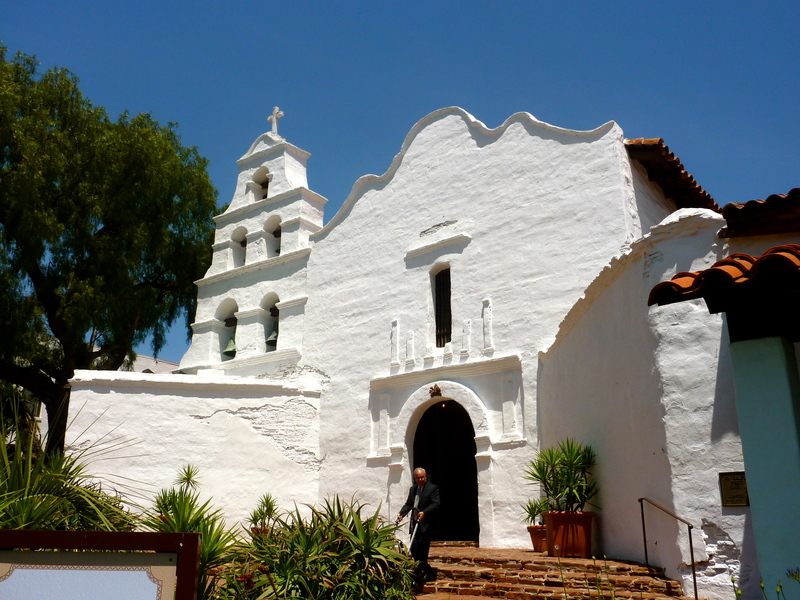 Our day (and weekend) of visiting San Diego County’s missions was now complete. 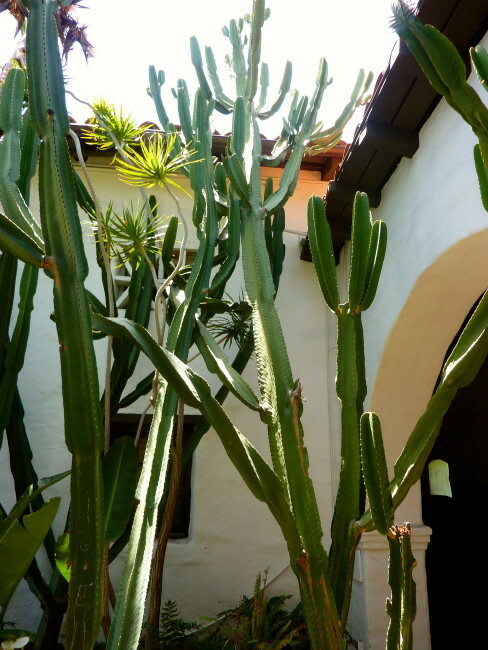 Only 16 more to go. 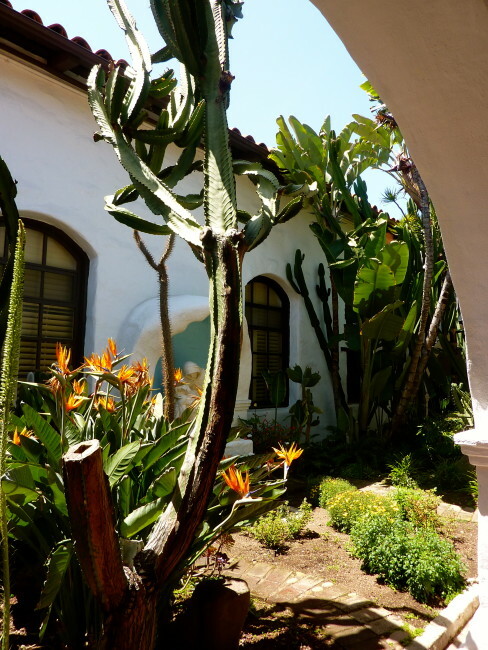 Hours: Monday – Sunday – 9:00 a.m. – 4:45 p.m.